Let’s face it: Your website traffic has an indirect impact on the profits of your business. Poor traffic generation will typically lead to poor conversions. And as we know, poor conversions generate low revenue, leaving your business with little to no profit. The major misconception about generating website traffic is that you need to create and publish content as much as possible. (1) This statement is not true. 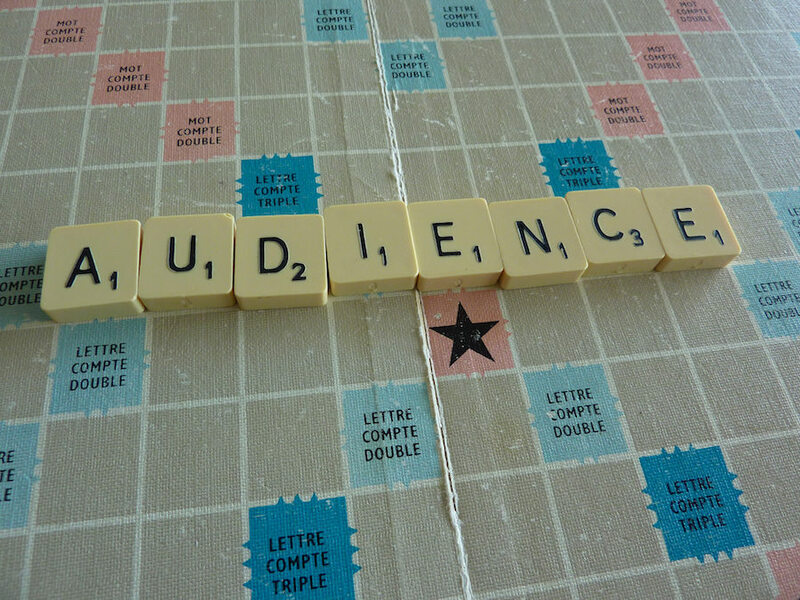 While content quantity is important, it’s not the most effective solution to generate traffic. 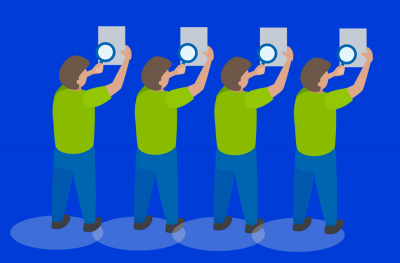 There are other effective ways to multiply your website traffic. I personally have used these strategies and witnessed an 80% increase in my website’s traffic. Let’s take a look at how I achieved it. 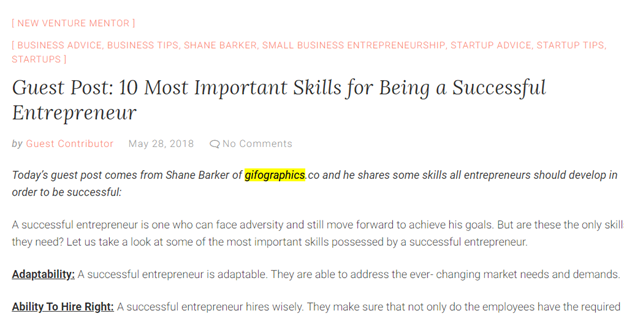 In 2016, I bought the domain Gifographics.co. I was very excited, and in the first few months, I was successfully able to generate a few backlinks. But the number of backlinks remained very low over time, and I had a very small number of visitors to my website. I decided to develop a roadmap for fixing things. My objective? To generate a steady flow of website traffic. Before I go into the details of my strategy, let’s take a closer look at what I was up against before I put my plan into action. 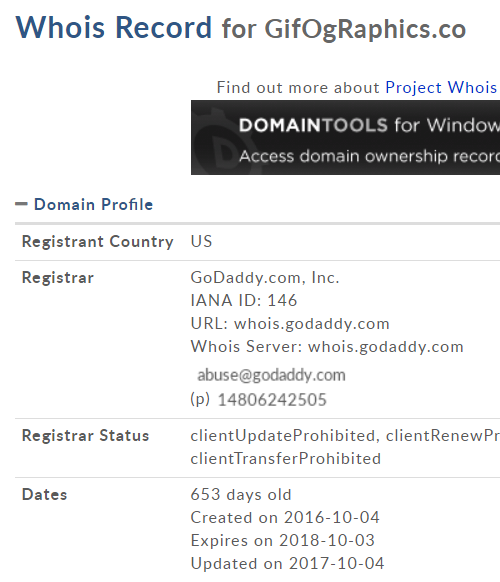 My domain was less than a year old with very little content on it, and it lacked visibility. Not many people knew about my website because it wasn’t ranking in search engines. 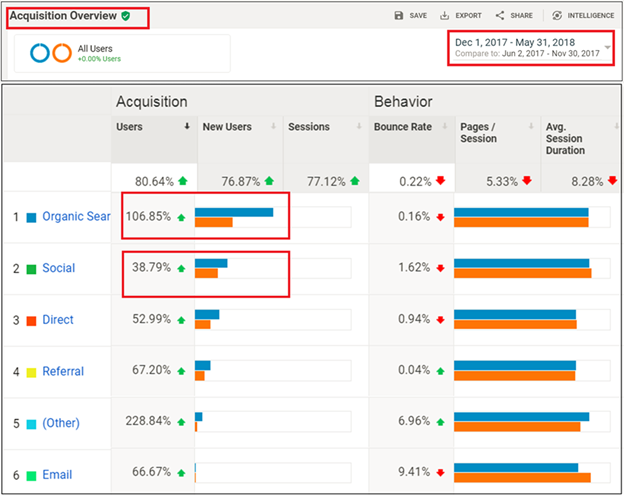 As a consequence, I had days when Google Analytics recorded as low as 35 daily visitors. My website did not have a high DA (Domain Authority), and was unable to get high-quality website traffic. As I mentioned earlier, in 2016 I only had a few organically generated backlinks to my website. Unfortunately, even the few backlinks I had were not from from trusted websites with high Domain Authority. My social media presence back then was also not strong enough to generate high-quality traffic. With such a small number of followers, our engagement rate was also low. This is one of the most common problems faced by a large number of marketers. Even though there were projects running in the background, I was still not financially capable to manage this project. So, I was only left with inexpensive and free promotion options, which didn’t do much to help me gain exposure. 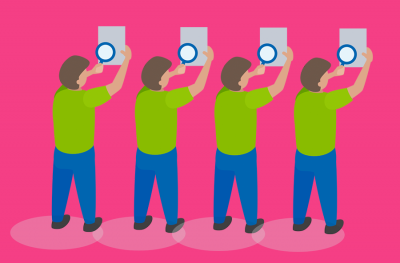 Competitor analysis helped me understand what I was doing wrong and how my competitors were performing better. It guided my strategy. I identified my top competitors with the help of the keywords they could use. 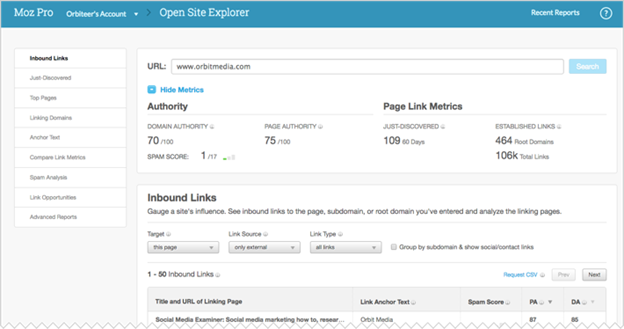 To get more accurate results, I used tools like SpyFu and Moz Link Explorer. It’s very important to have a content strategy to get high-quality website traffic. Researched the kind of content my target audience would like to read. This is crucial for engaging website visitors, which can indirectly contribute to higher rankings. 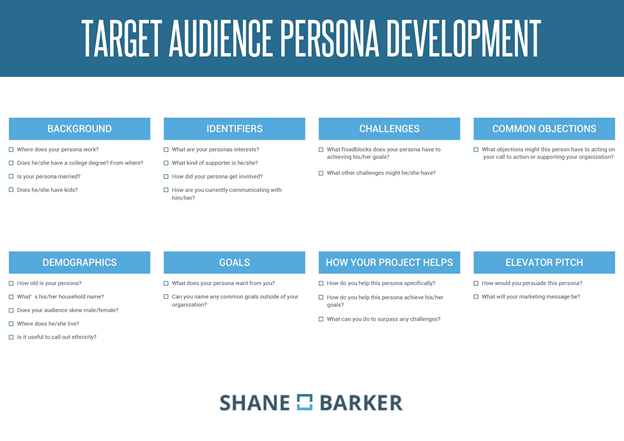 Created a checklist for my target audience personas. Designed a content calendar for the following six months, which included topics and a publishing schedule. I made it a point to keep all of the topics relevant to my niche, and identified long-tail keywords with low competition and good search volumes. Built a content distribution plan using blog posts, guest posts, ebooks, templates, webinars, and an email newsletter. I also used a content updating technique, where I picked out old blog posts and updated them with new and better information. Once my content was published, I used forum discussions, syndication, and social media to promote it. These tactics helped me gain exposure and visibility. To start email marketing, I needed a list of email addresses from potential customers. So, I added a simple pop-up on my website. When done correctly, pop-ups can give you a list of contacts that are interested in your business. 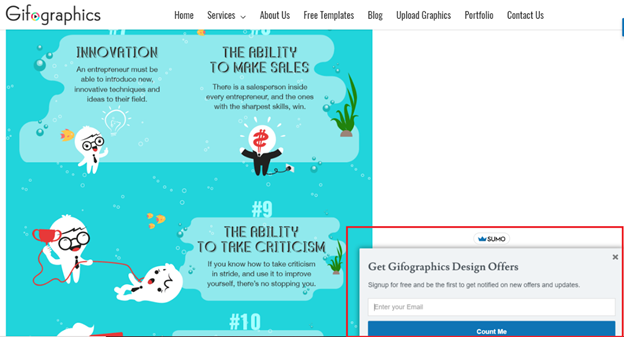 Experiment with the location of the pop-up, make it engaging, and add a strong CTA. This helped me to get relevant contacts. Once I had built my list, I made sure to send out an email at least once every two weeks. Also, I made my emails very informative and engaging, and updated my audiences about new services. 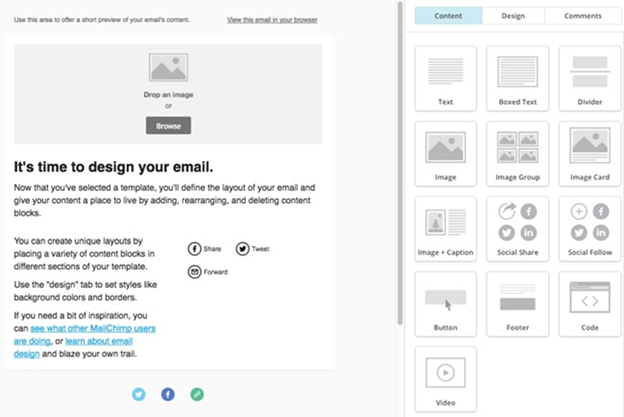 To make my email marketing more efficient and effective, I used MailChimp. This helped me customize emails and automate them as needed. Guest blogging is one of the most effective ways to generate high-quality traffic to your website. So, I planned to take advantage of it. 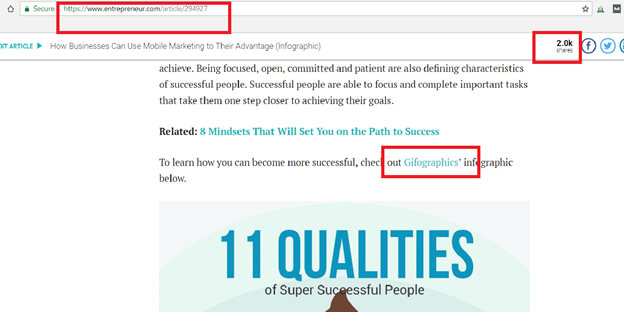 Google loves backlinks generated from high DA websites. So, I did thorough research to find high DA and influential websites and blogs that accept guest blogs. Once I had my list of influential websites ready, it was time to pitch my ideas to them. Creating high-quality content that would be relevant and interesting to their readers helped me gain high-quality backlink and organic traffic. It also improved the Domain Authority of my website. Visual content never fails to gain quality traffic. 65% of B2B companies say that infographics are a crucial part of their content strategy. And infographics are shared and liked 3X more when compared to any other form of content. With the help of BuzzSumo, I researched relevant and trending topics and created infographics based on them. Then through GroupHigh, I found relevant influencers from my niche and approached them with a compelling pitch. You should clearly explain the opportunity in a way that makes them understand how it will be beneficial. I drafted a proposal and approached some influencers. Once they were on board, I shared my infographics with them. The influencers shared the infographics with their social networks and helped me gain quality backlinks to my website. Especially for new websites or businesses, I can say that it’s difficult to build a reputation with very little money. But it’s not entirely impossible to do so. To contribute, you can talk directly to the editors of highly-trusted websites. Create original and relevant content based on their content guidelines. These websites have a large number of followers, so you can gain plenty of exposure in addition to high-quality backlinks. And this leads to quality traffic back to your website. I managed to publish my content on reputable sites like Entrepreneur.com, Inc.com, HuffPost, and many others. This helped me to gain high-quality website traffic, increase followers and visibility, and gain backlinks. 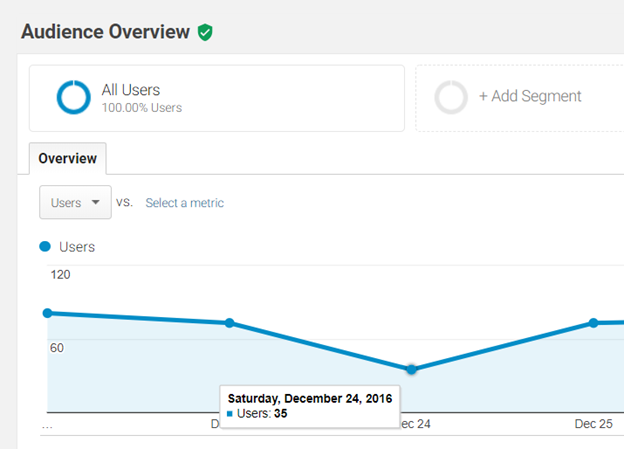 In a matter of six months, I was happy to see a huge improvement in the amount of website traffic that I got. 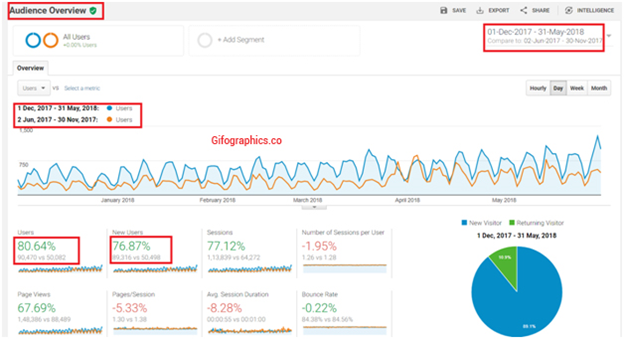 From June 2017 to November 2017 and from December 2017 to May 2018, there was an 80.64% increase in the total number of website visitors to Gifographics.co. The Acquisition report indicates a 106.85% increase in the number of website visitors via organic searches. Also, there was a 40% increase in the traffic generated from social referrals. You can see how these strategies have helped me increase my website traffic. And the reports generated from Google Analytics are proof. It’s important to remember that this miracle didn’t happen overnight. You need to be very consistent in your efforts to beat your competition. Are you also facing a similar problem of trying to generate high-quality traffic with a small budget? I would encourage you to implement these strategies and witness the results for yourself.